January 3rd marks J.R.R. Tolkien’s birthday. One of the most influential fantasy authors, J.R.R. 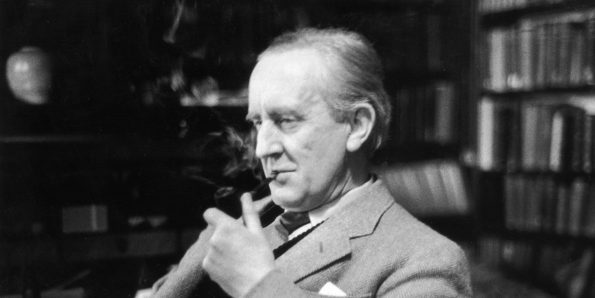 Tolkien wrote The Lord of the Rings Trilogy, The Hobbit, and more. Tolkien’s birthday is not to be taken lightly. Especially, since it is his 125th birthday! You might be asking yourself how you can celebrate. Well after a bit of research, we have the answer. All you need to do is stand, raise a glass of your choice of drink (not necessarily alcoholic), and say the words “The Professor” before taking a sip (or swig, if that’s more appropriate for your drink). Sit and enjoy the rest of your drink. The Tolkien Society is even asking people to tag their photos with the hashtag #TolkienBirthdayToast. We’d love to see your photos so be sure to the Tolkien hashtag as well as #GeekEats. You can be sure our photo will be posted just after 9 pm!